Another party, another dessert! 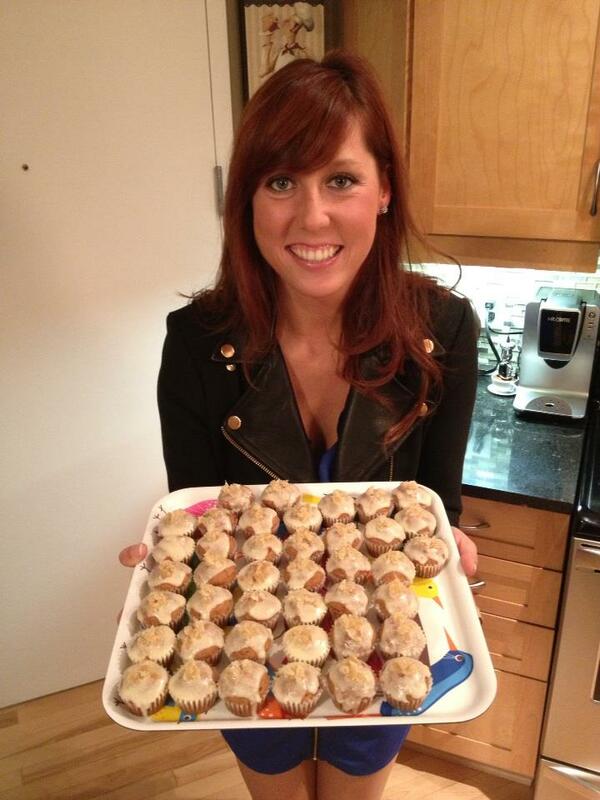 For Lola's birthday celebration, I made Cinnamon Spiced Mini Cupcakes with Cream Cheese Icing and Candied Ginger. I wanted to choose a recipe with bold flavours and unexpected pairings. I choose to make mini cupcakes, as let's be honest...everything is always better when it's mini...plus, you can eat more and not feel as guilty. Mini cupcakes are also a great idea for parties, as most guests do not want to eat a massive cupcake and much prefer a small, enjoyable treat. In the end, the cupcakes turned out well! The combinaton of rich spices was definitely a palette pleaser, however, they were not quite as moist as I would have wanted. Also, as you can see from the picture below, I had some trouble with the frosting. For some reason, my frosting would not thicken, and as a result, it was quite runny and somewhat difficult to ice the cupcakes. Regardless of the icing troubles, they were still very yummy and the candied ginger was a perfect addition to the spiced cake. In a mixing bowl, sift together the flour, cinnamon, baking powder, allspice, nutmeg, and salt. Set aside. Using a hand mixer, cream together the butter and sugar, about 4 minutes. Scrape down the sides of the bowl. With the mixer running, add one egg at a time, followed by the molasses and buttermilk and mix until just combined. Whisk the dry mixture into the wet mixture and stir until no lumps remain. Line a mini muffin tin with mini cupcake liners and fill each liner 2/3 way up with batter. 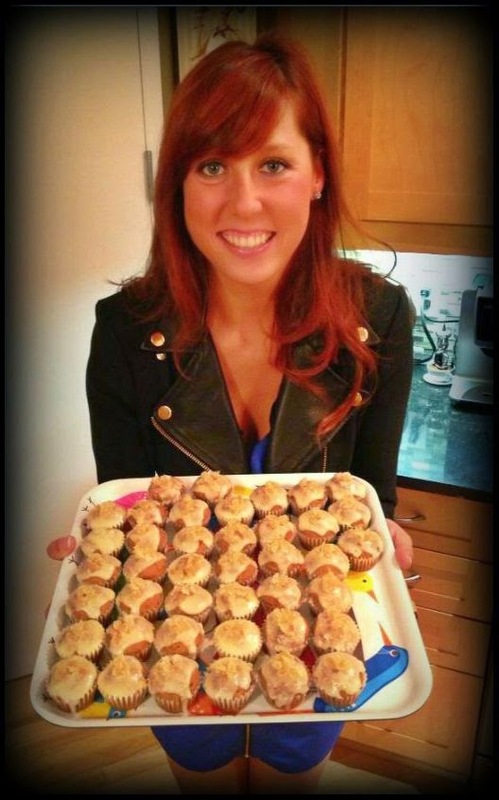 Bake the cupcakes for 20 to 25 minutes or until a toothpick comes out clean when removed from the centre. For the frosting: Using a hand mixer, cream together the cream cheese and butter. Add the powdered sugar, 1/2 cup at a time until fully incorporated. Scraped down the sides of the bowl and stir in the vanilla. To assemble: Spread a layer of frosting onto each cupcake. Pour the candied ginger into a shallow baking dish and dip each frosted cupcake, shaking off any access. Serve.